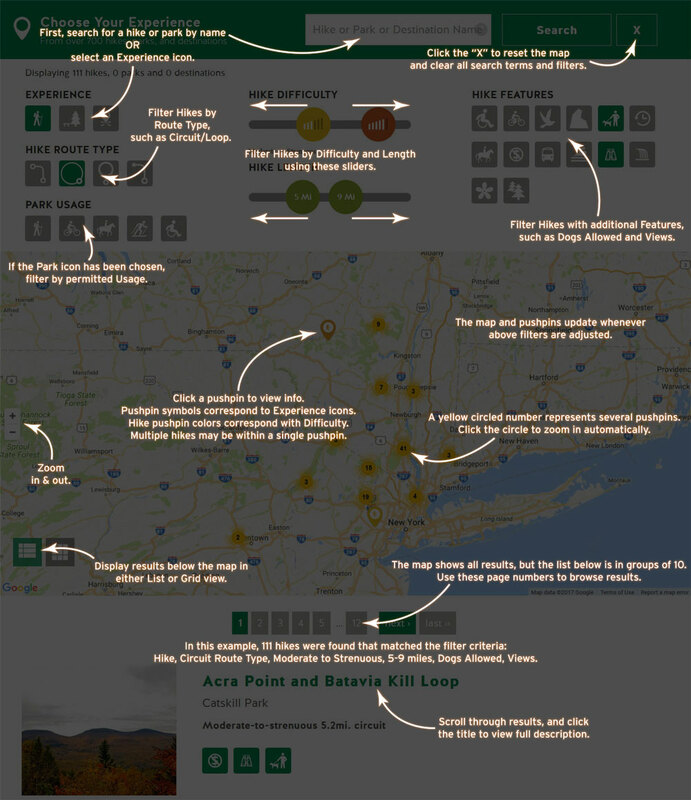 Find your next hike using our interactive map! Search directly for a hike or park by name, or select an Experience icon. View results on and below the map, or select additional filters to further refine the results. For more help, view additional instructions (click the help graphic to enlarge it). You can also view a list of all hikes or list of all parks to find your next adventure. No matching hike, park or destination found.